Great Restaurant Location in Midtown Sacramento! This restaurant is located in Midtown Sacramento and was established in 1993. They serve traditional and American Chinese Food. The restaurant is know for their fantastic deep fried fish and Taiwan dim sum on Saturday and Sunday. There is a great lease expiring 6-01-2013 with monthly rent only $3,500 a month including CAM Charges and the equipment for 2,830 Sq. Ft. The restaurant has bar serving beer and wine. It seats up to 90 guests. The asking price also included another fast food location where the rent and utilities is only 15%. The seller needs a long vacation after working hard the past 14 years. Please click the orange link below immediately to obtain the business name and address after signed the Confidentiality Agreement or register to become our valuable prefer buyers. This is a Paramount Restaurant Brokers, Inc. DBA SellingRestaurants.com listing. Best Location in Midtown for New Concept. 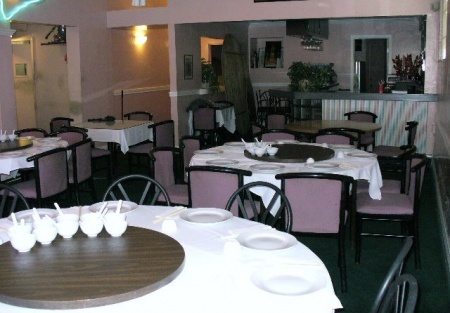 Turn Key business location Great for Asian Food. Affordable Rent only $1.25 Per Square Foot. Asking Price Included Another Small Business Location. Monthly Gross Sales $30,000 according to Seller. Seller Is Burned Out After 14yrs Hard Work. Please Sign the Confidentiality Agreement to get the name and address.